and so in words I have a ListBox which displays instances of UserControl1 and that control is just a StackPanel which contains 2 instances of UserControl2 and that control happens to name itself in its definition. I found that if I ran this application a few times then sometimes it would work fine and sometimes it would fail with the dreaded exception and so I asked internally whether that was expected and it was confirmed as a bug in the Silverlight 4 runtime which has been fixed in Silverlight 5. In my particular case, I could work around the bug anyway because I was naming that user control in order to use it for some bindings and the workaround I used was to create those bindings from code instead. 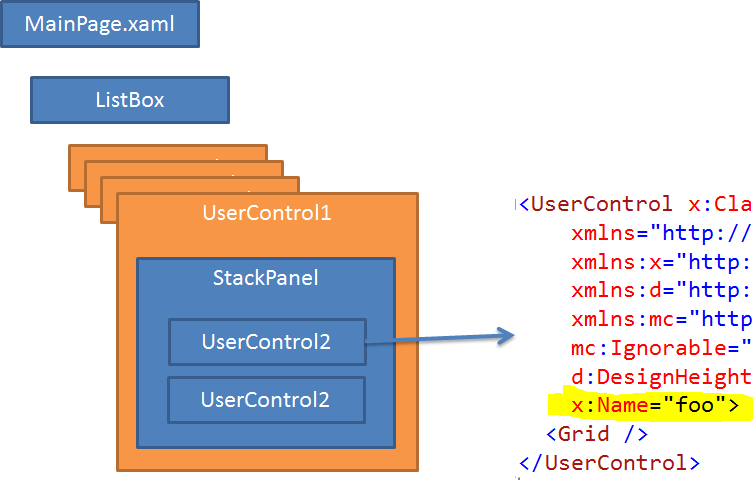 Lets start by updating the Code Behind of the Mainage.xaml . Add a event handler for RowEditEnded . This would give me the updated values of the Row . With this I would be able to update the update the cell and commit it. This event would help me trace the updated values . This event handler is to be added in the constrcutor of the Mainpage.xaml . Implement the event handler for RowEditEnded . I simply put the code to update the article and saving the context in the block . Make sure you load the context in the Constructor of the MainPage class . We are done. Run the App. Modify the Body or the Title . The Field would be sucessfully updated . So we are done with Updation . I still need to add the validation to this . Lets add validation then . For this example we will go for basic validation . Just go ahead and add a Required attribute to the Domainservice Metadata that was generated . // that carries additional metadata for the Article class. // of the Article class. // Metadata classes are not meant to be instantiated. Now give it a run . IIS specified authentication schemes 'Basic, Anonymous', but the binding only supports specification of exactly one authentication scheme. Valid authentication schemes are Digest, Negotiate, NTLM, Basic, or Anonymous. Change the IIS settings so that only a single authentication scheme is used." If your site is hosted on an IIS 6.0 server, please contact technical support to disable appropriate authentication on the application containing the WCF service. You can ask your provider to disable Anonymous authentication for you on IIS. Good luck. Closely related data can be handled more efficiently when grouped together into a collection. Instead of writing separate code to handle each individual object, you can use the same code to process all the elements of a collection. To manage a collection, use the Array class and the System.Collections classes to add, remove, and modify either individual elements of the collection or a range of elements. An entire collection can even be copied to another collection. Some Collections classes have sorting capabilities, and most are indexed. Memory management is handled automatically, and the capacity of a collection is expanded as required. Synchronization provides thread safety when accessing members of the collection. Some Collections classes can generate wrappers that make the collection read-only or fixed-size. Any Collections class can generate it's own enumerator that makes it easy to iterate through the elements. In the .NET Framework version 2.0, generic collection classes provide new functionality and make it easy to create strongly typed collections. See the System.Collections.Generic and System.Collections.ObjectModel namespaces. The LINQ to Objects feature allows you to use LINQ queries to access in-memory objects as long as the object type implements IEnumerable or IEnumerable<(Of <(<T>)>)>. LINQ queries provide a common pattern for accessing data; they are typically more concise and readable than standard foreach loops; and provide filtering, ordering and grouping capabilities. LINQ queries can also improve performance. A collection is a set of similarly typed objects that are grouped together. Objects of any type can be grouped into a single collection of the type Object to take advantage of constructs that are inherent in the language. For example, the C# foreach statement (for each in Visual Basic) expects all objects in the collection to be of a single type. However, in a collection of type Object, additional processing is done on the elements individually, such as boxing and unboxing or conversions, which affect the performance of the collection. Boxing and unboxing typically occur if storing or retrieving a value type in a collection of type Object. Generic collections, such as List<(Of <(<'T>)>)> avoid these performance hits if the type of the element is the type that the collection is intended for. In addition, strongly typed collections automatically perform type validation of each element added to the collection. An enumerator is an object that iterates through it's associated collection. It can be thought of as a movable pointer to any element in the collection. An enumerator can be associated with only one collection, but a collection can have multiple enumerators. The C# foreach statement (for each in Visual Basic) uses the enumerator and hides the complexity of manipulating the enumerator. Synchronization provides thread safety when accessing elements of the collection. The collections are not thread safe by default. Only a few classes in the System.Collections namespaces provide a Synchronize method that creates a thread-safe wrapper over the collection. However, all classes in all System.Collections namespaces provide a SyncRoot property that can be used by derived classes to create their own thread-safe wrapper. An IsSynchronized property is also provided to determine whether the collection is thread safe. Synchronization is not available in the ICollection<(Of <(<'T>)>)> generic interface. All collections can be copied to an array using the CopyTo method; however, the order of the elements in the new array is based on the sequence in which the enumerator returns them. The resulting array is always one-dimensional with a lower bound of zero. Note that the ICollection<(Of <(<'T>)>)> generic interface has additional members, which the non-generic interface does not include. The capacity of a collection is the number of elements it can contain. The count of a collection is the number of elements it actually contains. All collections in the System.Collections namespaces automatically expand in capacity when the current capacity is reached. The memory is reallocated, and the elements are copied from the old collection to the new one. This reduces the code required to use the collection; however, the performance of the collection might still be negatively affected. The best way to avoid poor performance caused by multiple reallocations is to set the initial capacity to be the estimated size of the collection. The lower bound of a collection is the index of it's first element. All indexed collections in the System.Collections namespaces have a lower bound of zero. Arrays have a lower bound of zero by default, but a different lower bound can be defined when creating an instance of the Array class using CreateInstance. These are the common variations of data collections, such as hash tables, queues, stacks, dictionaries, and lists. Commonly used collections have generic versions and non-generic versions. These are collections whose elements are bit flags. They behave slightly differently from other collections. Be sure to choose a collection class carefully. Because each collection has it's own functionality, each also has it's own limitations. Collection types are the common variations of data collections, such as hash tables, queues, stacks, dictionaries, and lists. therefore, all collections are based on the ICollection interface either directly or indirectly. Every element contains a value in collections based on the IList interface (such as Array, or List<(Of <(<'T>)>)>) or based directly on the ICollection interface LinkedList<(Of <(<'T>)>)>). Every collection based on the ICollection interface (such as the Dictionary<(Of <(<'TKey, TValue>)>)> generic class) contains both a key and a value. The KeyedCollection<(Of <(<'TKey, TItem>)>)> class is unique because it is a list of values with keys embedded within the values and, therefore, it behaves like a list and like a dictionary. Collections can vary, depending on how the elements are stored, how they are sorted, how searches are performed, and how comparisons are made. The elements of a Dictionary<(Of <(<'TKey, TValue>)>)> are accessible only by the key of the element, but the elements of a KeyedCollection<(Of <(<'TKey, TItem>)>)> are accessible either by the key or by the index of the element. The indexes in all collections are zero-based, except Array, which allows arrays that are not zero-based. The Array class is not part of the System.Collections namespaces. However, it is still a collection because it is based on the IList interface. The rank of an Array object is the number of dimensions in the Array. An Array can have one or more ranks. The lower bound of an Array is the index of it's first element. An Array can have any lower bound. It has a lower bound of zero by default, but a different lower bound can be defined when creating an instance of the Array class using CreateInstance. Unlike the classes in the System.Collections namespaces, Array has a fixed capacity. To increase the capacity, you must create a new Array object with the required capacity, copy the elements from the old Array object to the new one, and delete the old Array. - The capacity of an Array is fixed, whereas the capacity of a List<(Of <(<'T>)>)> is automatically expanded as required. If the value of the Capacity property changes, the memory reallocation and copying of elements occur automatically. - The List<(Of <(<'T>)>)> class provide methods that add, insert, or remove a range of elements. In Array, you can get or set the value of only one element at a time. - The List<(Of <(<'T>)>)> provides methods that return read-only and fixed-size wrappers to the collection. The Array class does not. - You can set the lower bound of an Array, but the lower bound of a List<(Of <(<'T>)>)> is always zero. - An Array can have multiple dimensions, while a List<(Of <(<'T>)>)> always has exactly one dimension. Most situations that call for an array can use a List<(Of <(<'T>)>)> instead; they are easier to use and, in general, have performance similar to an array of the same type. Array is in the System namespace; List<(Of <(<'T>)>)> is in the System.Collections.Generic namespace. You can use the Dictionary<(Of <(<'TKey, TValue>)>)> generic class which implements the IDictionary interface. The Dictionary<(Of <(<'TKey, TValue>)>)> generic class also implements the IDictionary<(Of <(<'TKey, TValue>)>)> generic interface. Therefore, each element in these collections is a key-and-value pair. The Queue<(Of <(<'T>)>)> generic class is a first-in-first-out (FIFO) collection class that implements the ICollection interface and the ICollection<(Of <(<'T>)>)> generic interface. The Queue<(Of <(<'T>)>)> and Stack<(Of <(<'T>)>)> generic classes are useful when you need temporary storage for information, that is, when you might want to discard an element after retrieving it's value. Use Queue<(Of <(<'T>)>)> if you need to access the information in the same order that it is stored in the collection. Use Stack<(Of <(<'T>)>)> if you need to access the information in reverse order. - The Enqueue method adds an element to the end of the queue. - The Dequeue method removes the oldest element from the start of the queue. - The Peek method returns the oldest element from the start of the queue but does not remove it from the queue. The Stack<(Of <(<'T>)>)> generic class is a last-in-first-out (LIFO) collection class that implements the ICollection interface. The Stack<(Of <(<'T>)>)> generic class also implements the ICollection<(Of <(<'T>)>)> generic interface. Use a queue if you need to access the information in the same order that it is stored in the collection. Use a stack if you need to access the information in reverse order. A common use for a stack is preserving variable states during calls to other procedures. - The Push method inserts an element at the top of the stack. - The Pop method removes an element at the top of the stack. - The Peek method returns an element at the top of the stack but does not remove it from the stack. Bit collections are collections whose elements are bit flags. Because each element is a bit instead of an object, these collections behave slightly differently from other collections. The BitArray class is a collection class in which the capacity is always the same as the count. Elements are added to a BitArray by increasing the Length property; elements are deleted by decreasing the Length property. The BitArray class provides methods that are not found in other collections, including those that allow multiple elements to be modified at once using a filter, such as And, Or, Xor , Not, and SetAll. 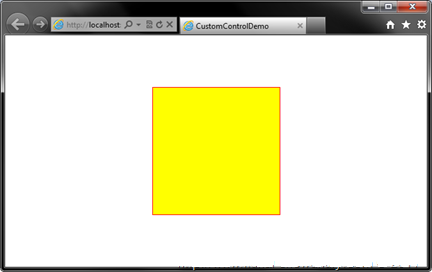 In this tutorial, I will show you how to create custom control in Silverlight. First of all, we need to create a Silverlight project. Assume, you already know about it. Just for your reference, create a new project. From the left panel, select Silverlight and chose "Silverlight Application" from the right panel. Give a proper name for your application and solution. Click ok to continue. To do this, right click on your Silverlight project, from the context menu select "Add" and from the second level context menu click "New Item". This will open the "Add New Item" dialog box. As shown in the below screen shot, select "Silverlight Templated Control" and give you proper name to the control. 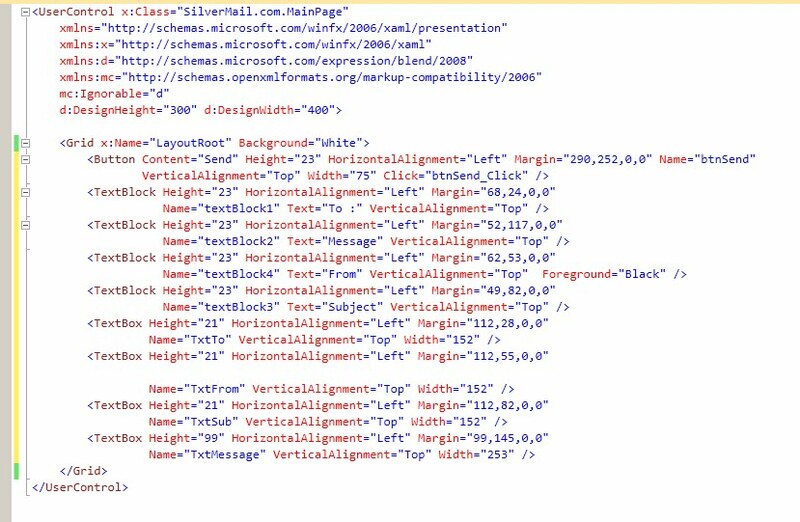 Remember that, the "Silverlight Templated Control" is the template for Custom Silverlight control. 1. 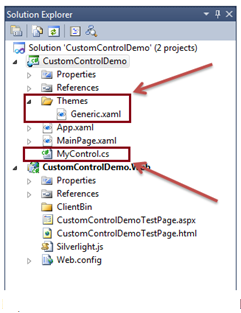 A "Themes" folder containing a file called "Generic.xaml". This is the default resource file for all of your styles for your controls. 2. A "MyControl.cs" file, which is nothing but the class of your custom control. The class name is the control name. Note that, if you create multiple controls the IDE will create multiple class files for you with the name of the control. But the resource file will be same. All styles and templates of your control will go into the same file. The above screenshot will give you better visibility of the files that has been created in our demo application. Here we will discuss about the class of the Custom control. You will get detailed knowledge on the class in later part of the series. For now just know, every control by default derives from base class called “Control”. You may change the base class to other control depending upon your requirement. You will see the above code in the constructor. It takes the control style from the resource file and set it as the default style of the control. More on the class, we will discuss later. The first line describes the TargetType of the style. The second line declares the Template of the control. Third line sets the value of the template. The child of the value is your ControlTemplate. You can design your control template here. One thing I want to tell you here is that, this is the default template of any control. You can add more style values before starting the template declaration. We will discuss this later. Let us add the custom control that we created to our main page. To do this, you need to add the XMLNS namespace in the XAML. In our case, it is the project name. 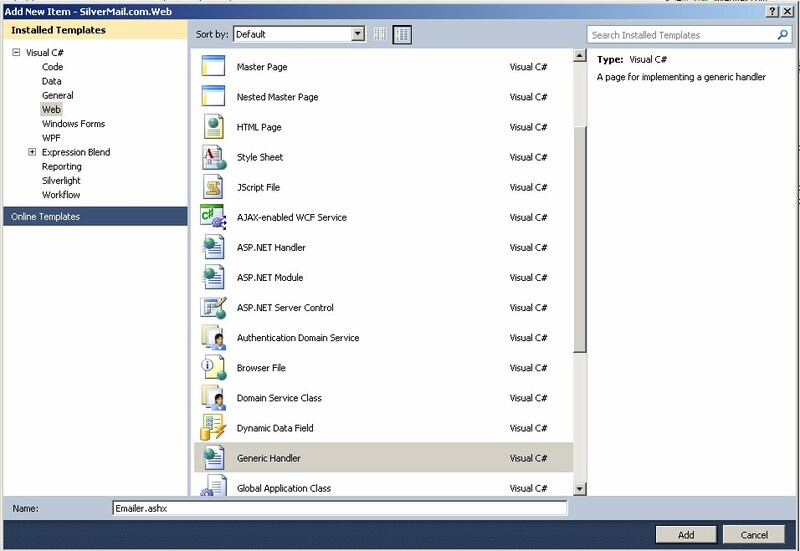 Once you declare the namespace, you will be able to access the control easily. The above code will explain you everything. There we added our custom control named "MyControl" with proper declaration of height and width. If you don't specify the height and width, it will take the whole screen of the application (only for our example). If you run the application, you will not see anything rather than the blank screen. This is because the control has default transparent background. Hence, we added a background color, border brush and border thickness to the control in the above code. Once you run the application now, you will see the above UI in your browser. The rectangle is the custom control that we created in this sample. If you modify the control template, it will change the UI here automatically. at this time I am going to look at Automatic Formatting in WCF 4.0.That is one of the great addition in WCF Web HTTP programming model(WCF RESTful). By using this feature it’s dynamically determine the format for the service operation. Previously, if consumed JSON and XML format for the same operation of the service then must have defined two different operations with explicitly annotated RequestFormat parameter of the WebGetAttribute and WebInvokeAttribute attributes. Now we have option either go with explicit as above or go with new automatic way .By default Automatic format selection is disable due to backwards compatibility and when it’s enabled, it would automatically get the best format in which to return the response. 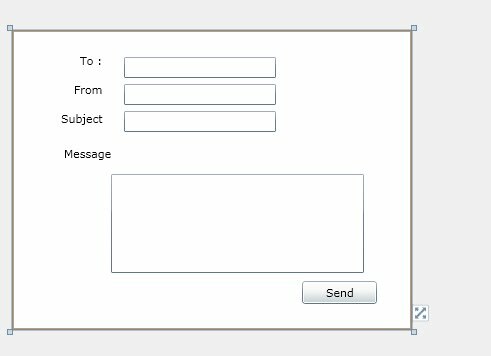 WCF infrastructure actually checks the type which is contained the request messages of Accept Header. The first priorities for media types, if it’s not found in Accept Header than its checks the content-type of the request message and if content-type would not give the suitable response than it would be used default format setting which is defined by RequestFormat parameter of the WebGetAttribute and WebInvokeAttribute attributes and at the last if there is no any default format setting than it would be used value of the DefaultOutgoingResponseFormat property. 1. Priorities of media types in request message’s Accept Header. 2. The content-type of the request message. 3. The default format setting in the operation. 4. The default format setting in the WebHttpBehavior. Automatic format selection depends on AutomaticFormatSelectionEnabled property. It can be enabled programmatically or using configuration, for getting the clarification I would like to show example of it with Jquery, using jquery I will be getting the different format by calling the same operation of the service, for keeping it simple I am enabling the AutomaticFormatSelectionEnabled through standard endpoints, so let’s start it. 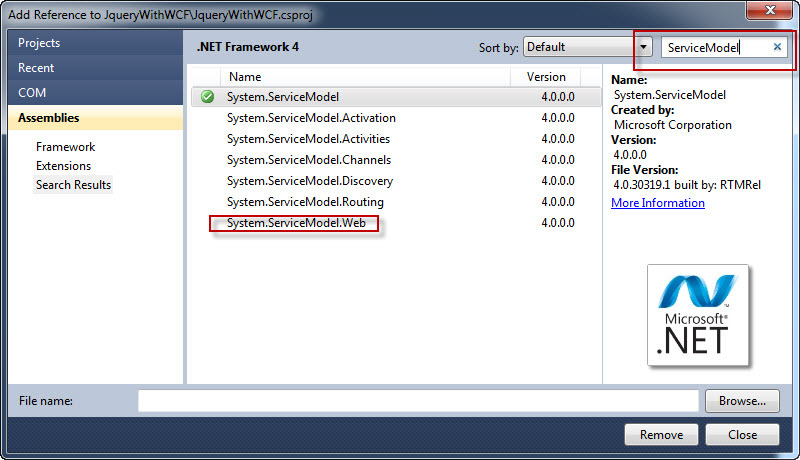 First I am going to create an empty web application JqueryWithWCF and hosting it at IIS. I am going to add following items in the solution. 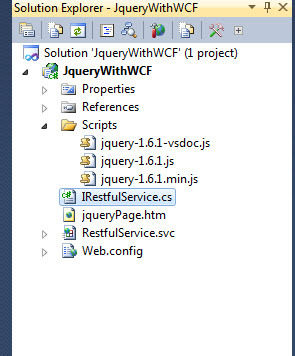 We have to add System.ServiceModel.Web reference for working with WCF RESTful services. I added ServiceContract attribute at intrface to expose the service and OperationContract attribute for expose the operation out of the world ,now we have to add WebGet attribute with property name UriTemplate=”/data”, it means, it can be called using UriTemplate property name. There is nothing special I did, just implemented IRestfulService interface and return a string. 1. Using Coding with ServiceHost object we can enable it. 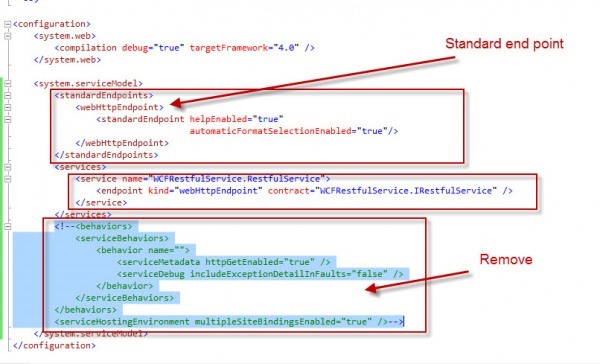 As we can see in the above, I have commented behavior and serviceHostEnviroment tag, because we don’t need to service metadata and I have add the standard endpoint with “automaticFormatSelectionEnabled” attribute with value true. That’s it, we have made a restful service and we can get the JSON or XML format by using single operation. I have created two radio buttons and a input button, when we hit the button it will call the jquery ajax method and check the pageElements.isXML Boolean value, if its false than JSON format called otherwise XML. For getting the proof i am using firebug, here is the result of firebug when we check radio button with Get XML and Get JSON. European Silverlight 4 Hosting :: How to Use "ClickMode" for Button Control in Silverlight? 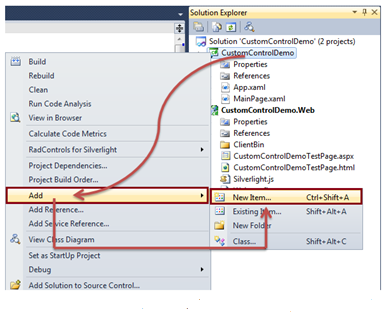 In this article let us see the different ways of using the property ClickMode for a Button Control in a silverlight application. 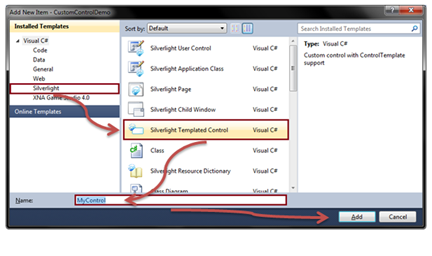 As usual, open the visual studio and select the silverlight project. 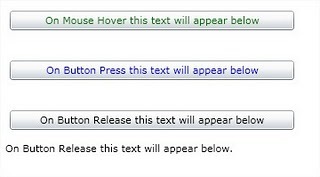 First let us drag three different Button and TextBlock controls to Stack Panel as shown below into MainPage.xaml. Here i used a property called "ClickMode" for all the three button controls, But the value assigned to it is different. For the first button i assigned the value Hover to the ClickMode property, It means that the click event handler takes place whenever the mouse is hovered onto this button. For the second button i assigned the value Press to the ClickMode property, It means that the click event handler takes place whenever the mouse is clicked on this button. 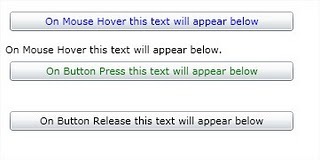 For the third button i assigned the value Release to the ClickMode property, It means that the click event handler takes place whenever the mouse is released from this button. Content="On Mouse Hover this text will appear below"
<Button x:Name="btn2" Margin ="5,5,5,5" HorizontalAlignment="Left" Foreground="Black" Width="320" Click="OnClick2"
Thats it!!! Just press F5 and see the result. Note: For the people who find it difficult to integrate the above code, I am pasting the complete code here. Some times you need to return a set of data from a WCF service and When you are working with ado.net, dataset is the obvious reason you wish at your client side. But passing dataset can make service less interoportable because in that case you are forced to use dataset on your client code. Second point is that dataset might become very bulky as per size of the data grows. Instead, passing dataset we can pass compressed byte array of dataset from WCF service and consume it like a byte array on client end. After Uncompression, either you can convert it into dataset or you can use this XML in any other form you want. //Now we'll convert dataset into byte array and compress it using gzStream. Here, We are first filling dataset from database then after compression using GZipStream, we are converting it to byte array. At client end we will get this byte array and we'll again follow these steps in reverse order. 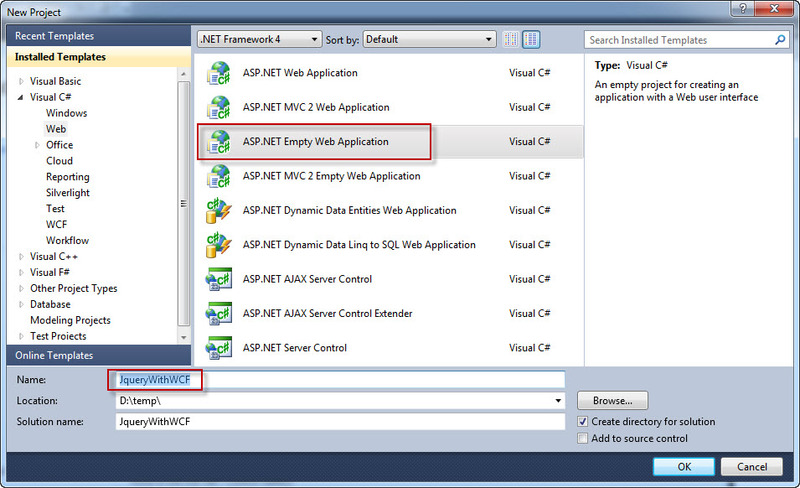 In this tutorial I will show you how to send email with Silverlight using .NET framework. 3. Add Static Class and Create Send Email Function. 4. 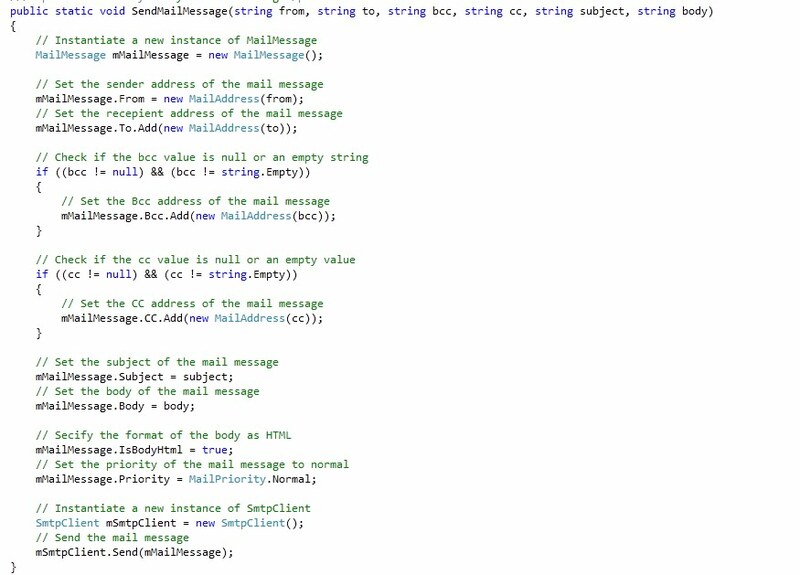 Add code to perform mail sending through the generic handler. 5. Add This Code At SilverLight Project(MainPage.xaml.cs) on send button click. 6. Then, configure the SMTP settign inside the configuration file, here is settings details. 7. Press F5 and run.